Below you can view all the homes for sale in the Bishops Grant subdivision located in Wake Forest North Carolina. 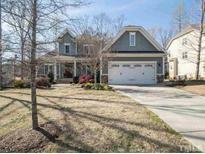 Listings in Bishops Grant are updated daily from data we receive from the Raleigh multiple listing service. To learn more about any of these homes or to receive custom notifications when a new property is listed for sale in Bishops Grant, give us a call at 919-230-8729. Biking and Hiking trails behind your fenced in yard. MLS#2248469. 1250. Finished 3rd floor for extra bonus room or teen age suite! MLS#2244961. 4883. Community pool, MTB trails and more! MLS#2242043. 4260. Check this home out, fall in love, and create a perfect home... MLS#2240861. 2739. Huge master suite has sitting area & 2 walk in closets MLS#2238797. 2892. Enjoy living in this well established neighborhood MLS#2239129. 3183. It's easy to tell this home has been taken care of over the years. Make it yours! MLS#2237100. 297. Fenced back yard w/deck, patio & built-in fire pit. Community pool! MLS#2232249. 1829. Covered screened porch. Master Bath designer tiled shower. MLS#2230670. 695. Perfect floor plan-exceptionally pretty lot in ideal location! MLS#2209235. 4919. Sit on the front porch and enjoy this custom home neighborhood in highly desirable Bishops Grant! MLS#2209260. 4919. Ideal location in highly desirable Bishops Grant! MLS#2200937. 4919.